Article originally appeared on Atlas Obscura. The abandoned buildings of Central State Hospital, now in a state of neglect and decay, once comprised the largest mental health facility the world had ever seen, with more than 200 buildings on 2,000 acres. 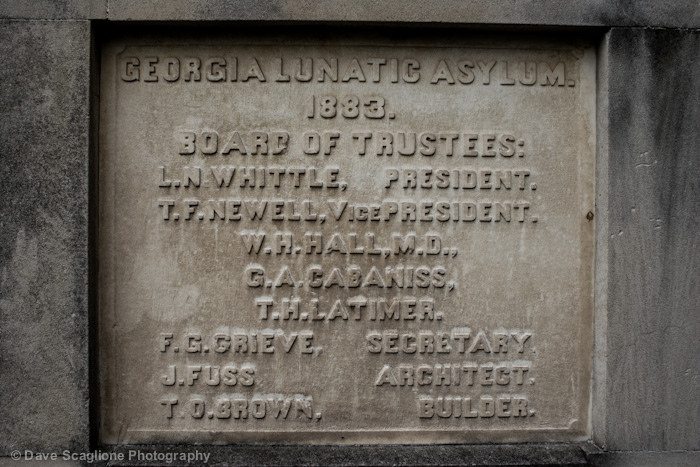 Opened in 1842 as the Georgia State Lunatic, Idiot, and Epileptic Asylum, the hospital’s story was much like other mental health institutions of its time. At first its treatment methods seemed effective and humane. Head Doctor Thomas A. Greene Patients banned chain and rope restraints. Patients took part in their rehabilitation and helped run the asylum, tending the land and the facilities alongside staff. But by the 1960s the hospital’s population had swelled to 12,000, way over its maximum capacity. It was badly understaffed, with a doctor/patient ratio of 1 to 100. Under these conditions the quality of treatment declined vastly, and the asylum became notorious for its mistreatment of those committed there. Rumors abounded of children confined to cages, adults living in straight jackets, and forced shock therapy with electricity, insulin, and ice baths. A 1959 exposé revealed that none of the 48 doctors patrolling the wards were actually psychiatrists. Mothers across the South threatened to send misbehaving children to Milledgeville. Central State began closing in the wave of deinstitutionalization during the ’60s and ’70s, but it wasn’t until 2010 that it shut its doors for good. The buildings have sat empty and abandoned ever since. Today, a visit to the former Central State Hospital is an eerie experience. The property includes buildings given to a prison, the houses of former doctors, and a pecan grove, the hospital buildings themselves, as well as a cemetery of roughly 25,000 unmarked graves. 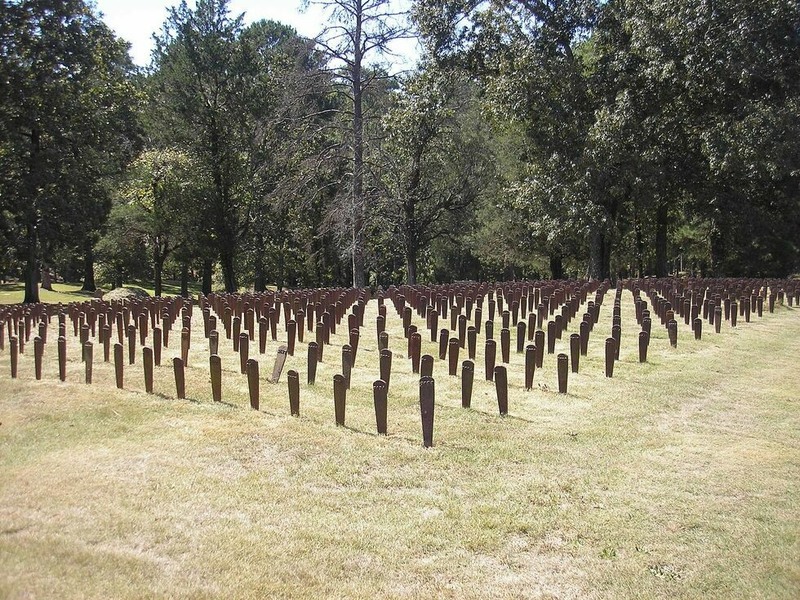 Around 2,000 somber markers in the nearby Cedar Lane Cemetery memorialize these unknown dead. Security patrollers ensure that no one gets into the abandoned buildings, so visitors must be content to see the asylum from the outside. However a museum on the old campus has preserved artifacts from Central State Hospital so those curious can learn what life was like at the world’s largest insane asylum. Today, you can drive through the campus and look at the decaying buildings, which include a central pecan orchard, but constant security patrols ensure that no one goes close to the buildings.